Based out of nearby Baltimore, comes a new American hard rock act, Saints of Rebellion, with their debut work, New American Dream. Suffice to say this upstart band has a foot in both past and present, drawing from classic Eighties rock 21st century post-grunge modern rock, with some interesting nuances thrown in. Saints of Rebellion: that's some big hair. 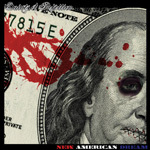 Saints of Rebellion jump starts your rock groove battery at the start with New American Dream and Gasoline, with both songs eligible for use at a party or riot. They charge along with groove, melody, catchy hooks in lyrics and arrangement, and guitarist John Adams rips his guitar a new fret board with solos. So far, so good. Then something different happens. The rest of the album is nothing like these first two songs. Alone is a riff heavy ballad, moved mostly by Coby DeShazo�s vocals, which you discover have a raspy, somewhat bluesy feel, at heart. (Some might find that DeShazo's has the timbre of Black Stone Cherry vocalist Chris Robertson.) Both Garden and Get You Some cut the pace a bit; the rock groove is there, but not at the level of the beginning. SoR seems to go after a more heavy modern d-tuned feeling with these songs. Then we shift gears once more, sort of. Wine Women and Song turns more on a southern hard rock groove with DeShazo giving his most bluesy soulful performance. But the song still fits in the proceeding songs and their style. As does everything from here to the end: churning, riff heavy, not without melody, big on guitar solos, modern hard rock. That's not a bad thing, but it is basically the same thing for nearly two-thirds of the album. 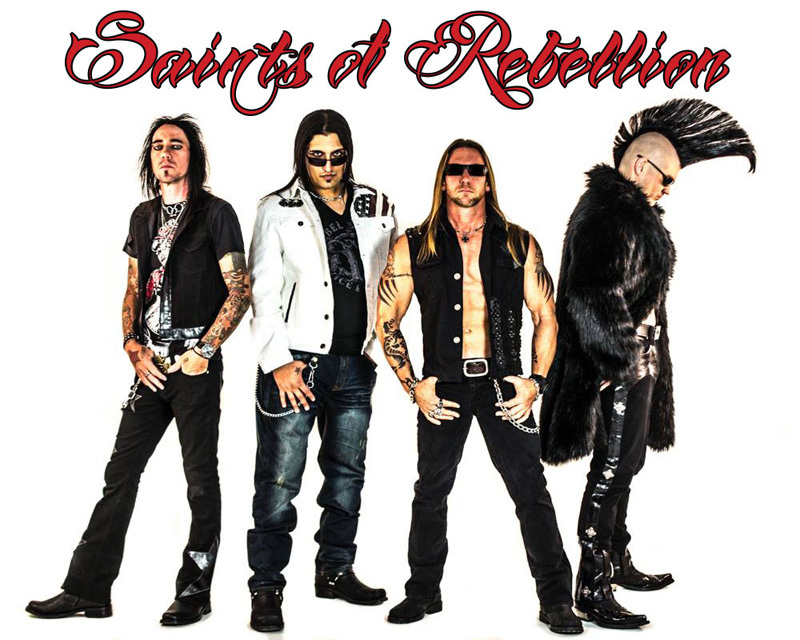 Yet Saints of Rebellion pull it off with energy and enthusiasm, while generally staying within the boundaries of American modern hard rock. But it would have been nice to revisit the raucous, good feeling, toe-tapping and fist-pumping rock of the beginning. 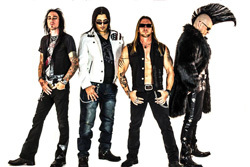 With New American Dream, Saints of Rebellion stays within the boundaries of current American modern melodic hard rock, while taking a few pages from classic Eighties hard rock.